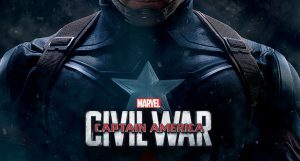 Kyle and Claire discuss the background and making of Captain America: Civil War. Kyle kicks it off with the comics behind the film, the theme of government as the enemy in comics, and who really stays dead in the Marvel Universe. Claire follows up with how Marvel Studios found the Russo Brothers, their approach to directing, and their goal for the larger franchise. Our hosts conclude with their thoughts and feelings on the film itself. Next 02: The Witch – Would you Like to Podcast Deliciously?